← Procedural Text: The fun genre… How to make a paper plane! This headline on the front page of the Herald Sun caught my interest today. Something about ‘Listen up teachers’ instantly made me cringe. Homework has always been a topic debated in primary schools and is often instigated by parents. Surely the journalist could have used a headline less condescending! 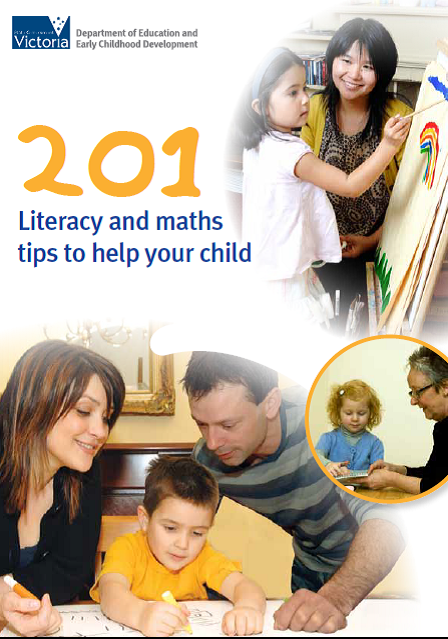 I recommend parents read 201 Literacy and maths tips to help your child published in 2011 by the Department of Education and Early Childhood Development (Melbourne) Victoria, Australia. This is an excellent collection of activities parents can use at home to foster learning beyond the classroom.